In an Acta Paediatrica study of Canadian students aged 11-20 years conducted to evaluate effect of Social Media on sleep, the researchers of Children’s Hospital of Eastern Ontario Research Institute have found out that Use of Social media is associated with lack of sleep in students. The greater is use of Social Media the lesser is possibility of getting proper sleep, says study. Recent systematic reviews of the literature reveal that the vast majority of studies find an adverse association between screen-based media consumption and sleep health, primarily via delayed bedtimes and reduced total sleep duration. The underlying mechanisms of these associations likely include the following: (1) time displacement (ie, time spent on screens replaces time spent sleeping and other activities); (2) psychological stimulation based on media content; and (3) the effects of light emitted from devices on circadian timing, sleep physiology, and alertness. Much of our current understanding of these processes, however, is limited by cross-sectional, observational, and self-reported data. 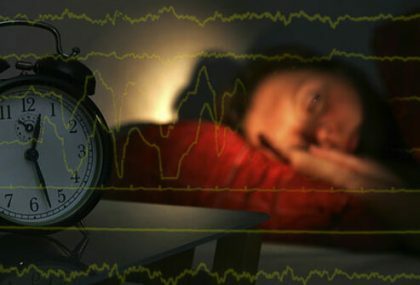 Further experimental and observational research is needed to elucidate how the digital revolution is altering sleep and circadian rhythms across development (infancy to adulthood) as pathways to poor health, learning, and safety outcomes (eg, obesity, depression, risk-taking).